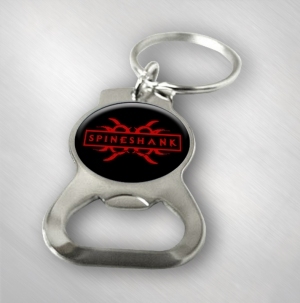 Spineshank bottle opener keychain! Logo under poly dome, sturdy metal for strong opener. Item is approx. 3" tall.